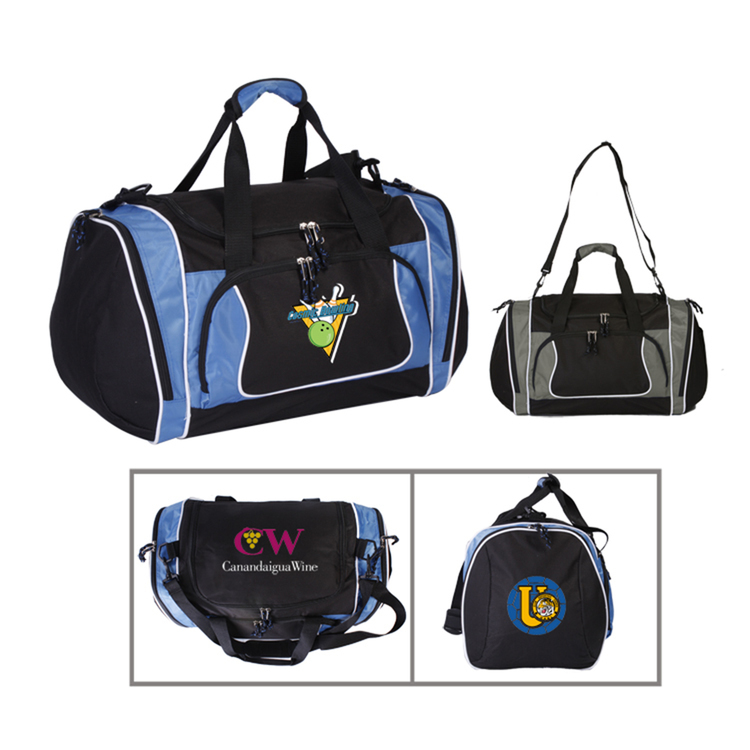 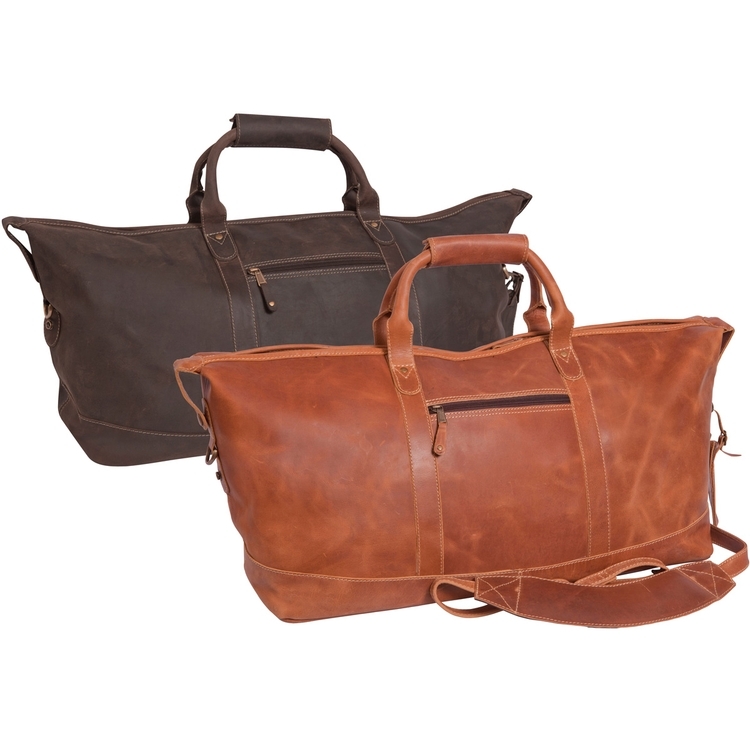 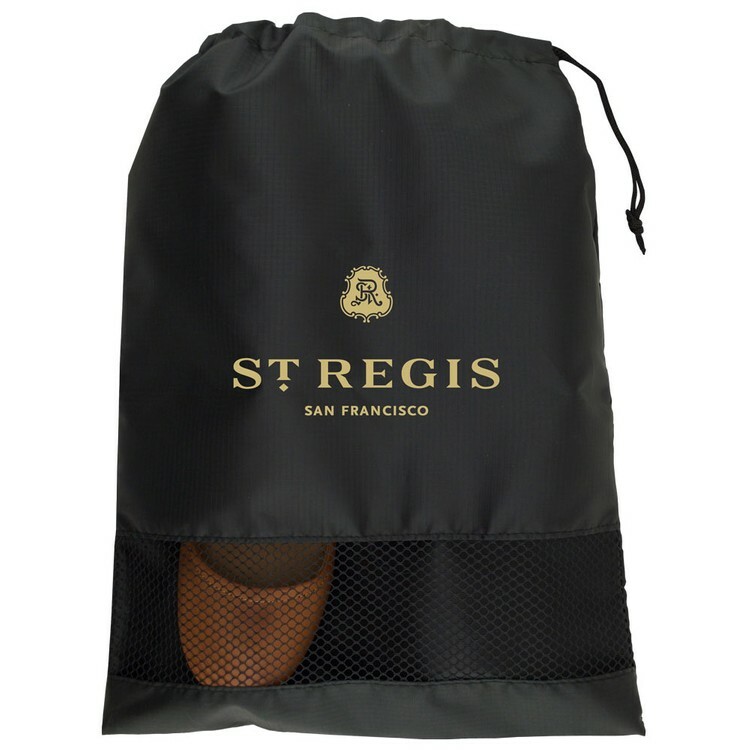 The Executive Duffel Bag is the perfect corporate gift for employees who travel frequently. 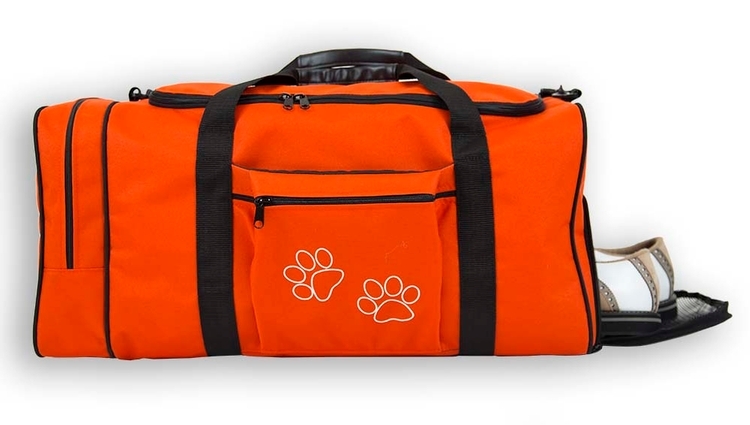 This large capacity duffel bag features a U zipper top, a large front zipper pocket, large end zipper compartments and a side open pocket for optimum storage. 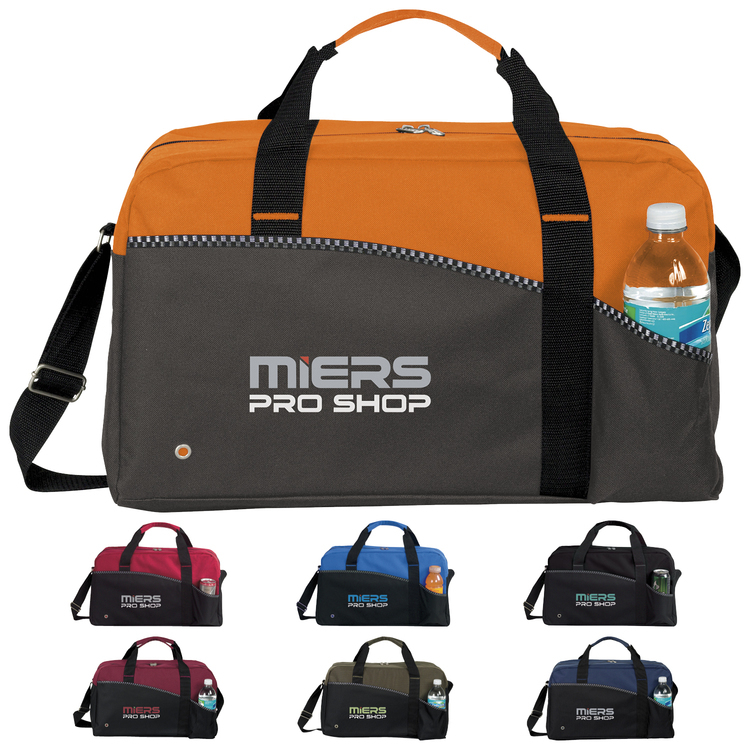 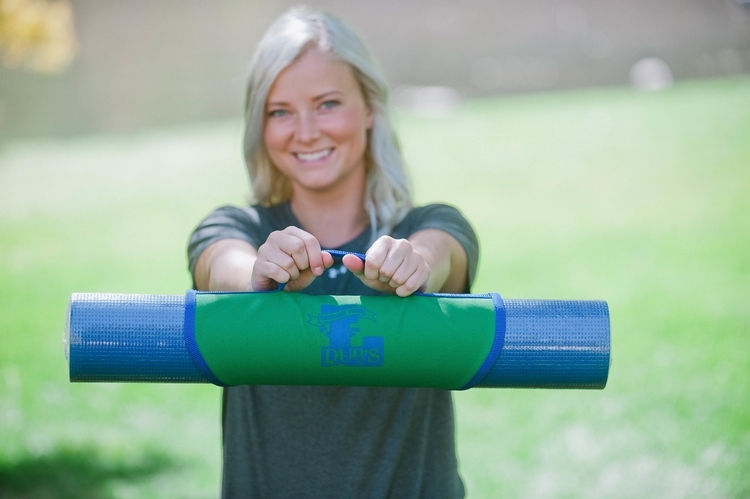 The hard board bottom insert and double carry Velcro handles provide extra durability. 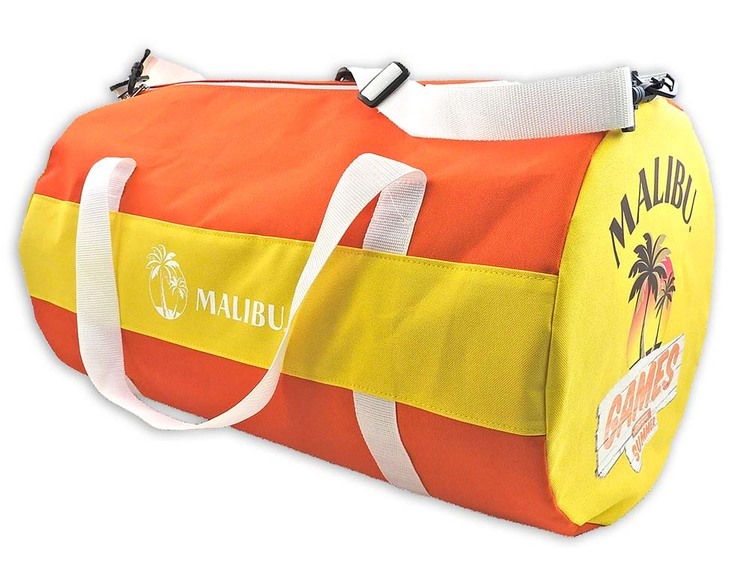 The adjustable and detachable shoulder strap with rubber grip measures 36'' to 56.6''. 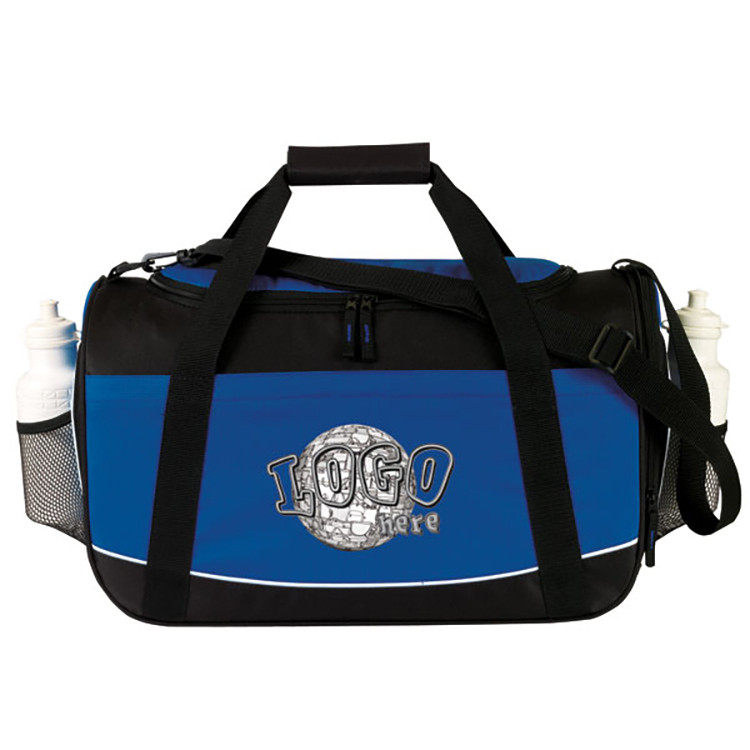 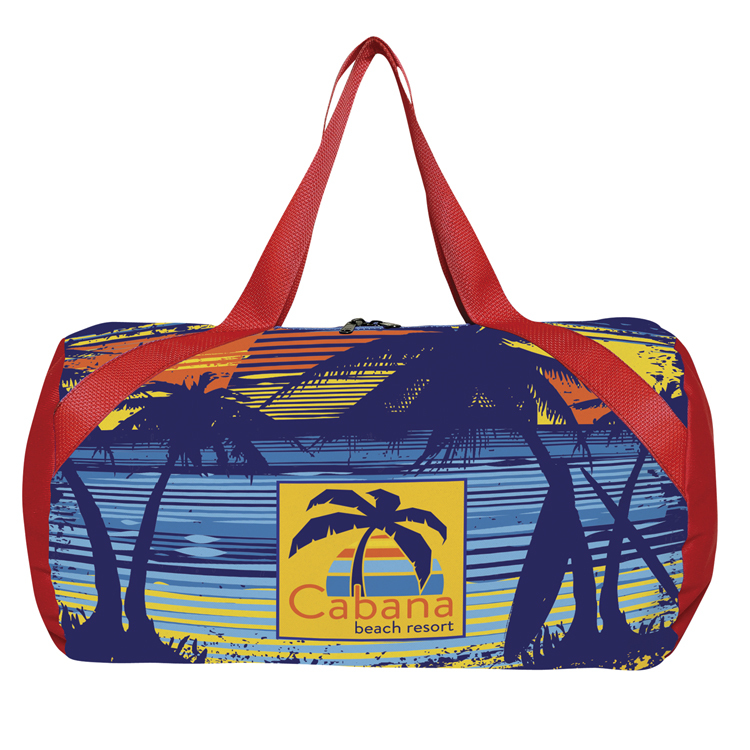 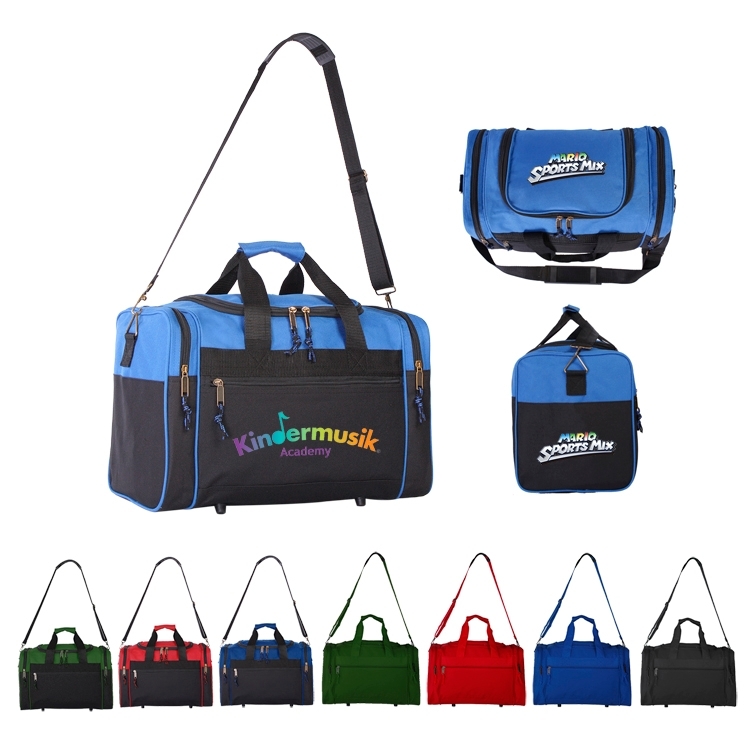 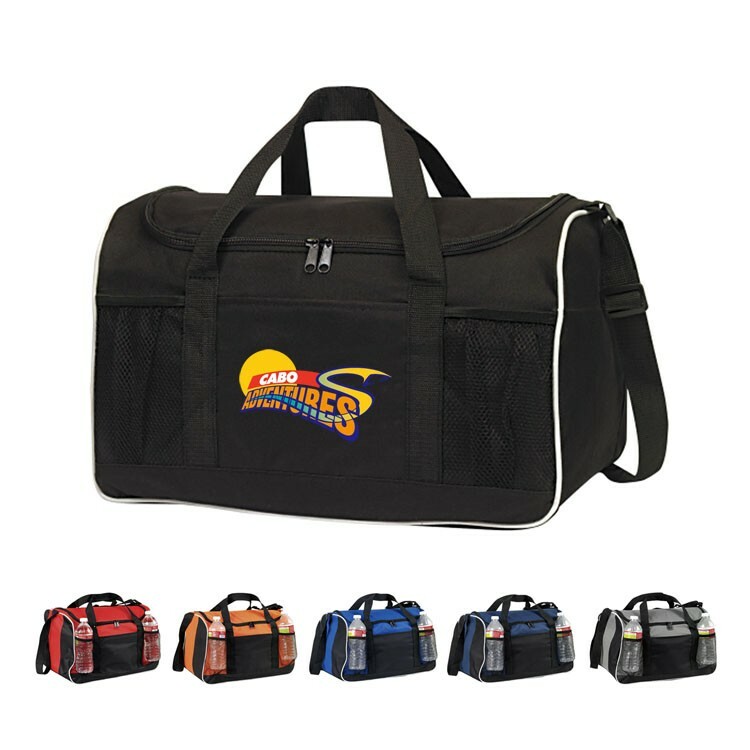 This Deluxe Jumbo Travel Duffel features a large side zipper compartment for your keys or phone. 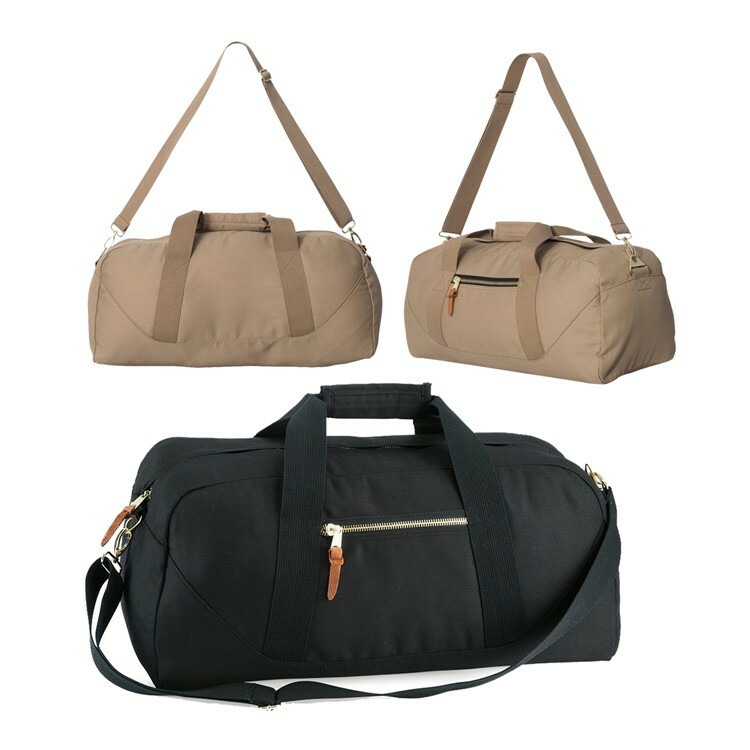 The 2 zipper end compartments are ideal for all your accessories. 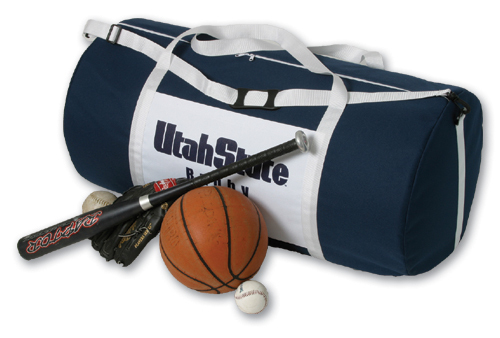 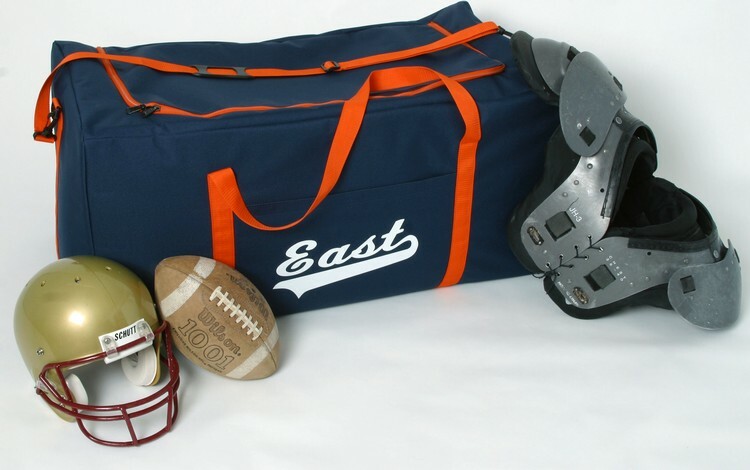 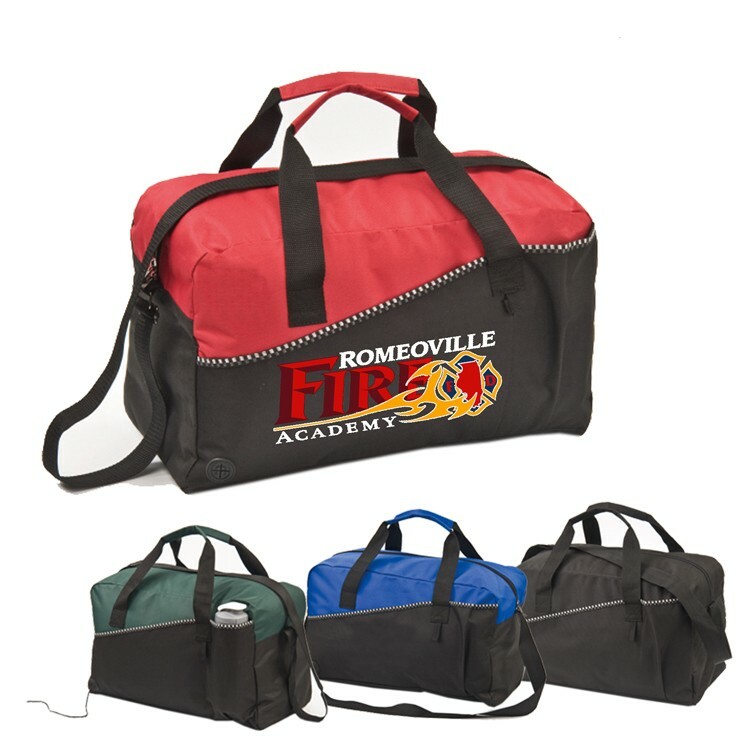 This duffel also features a side mesh pocket and single rubber hand grip handle for added style and comfort. 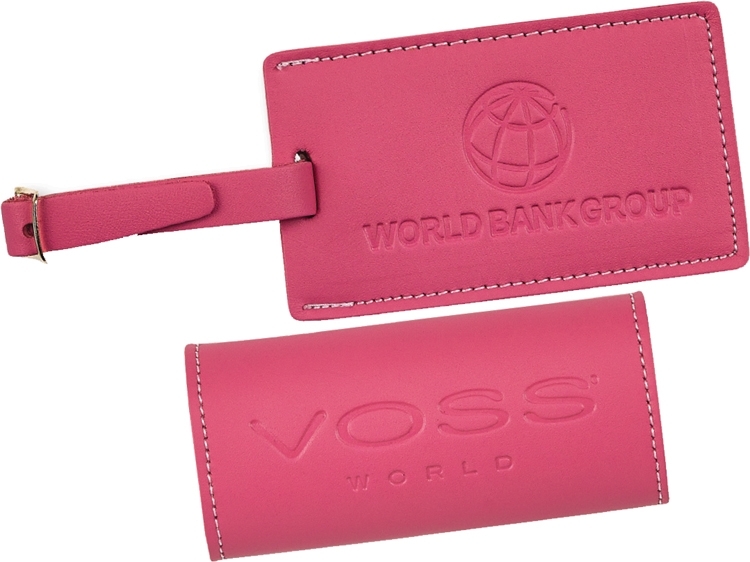 The strap measures 36'' to 57''. 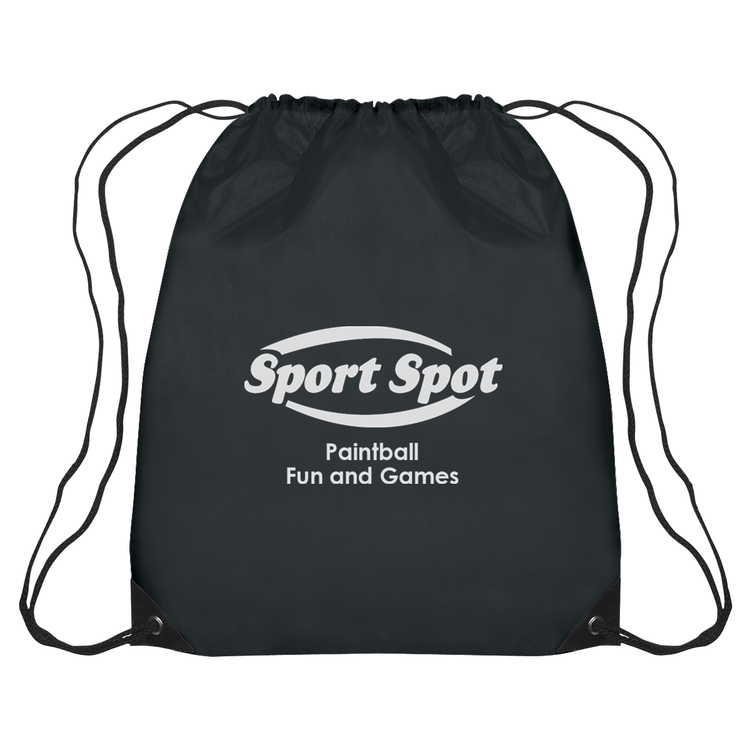 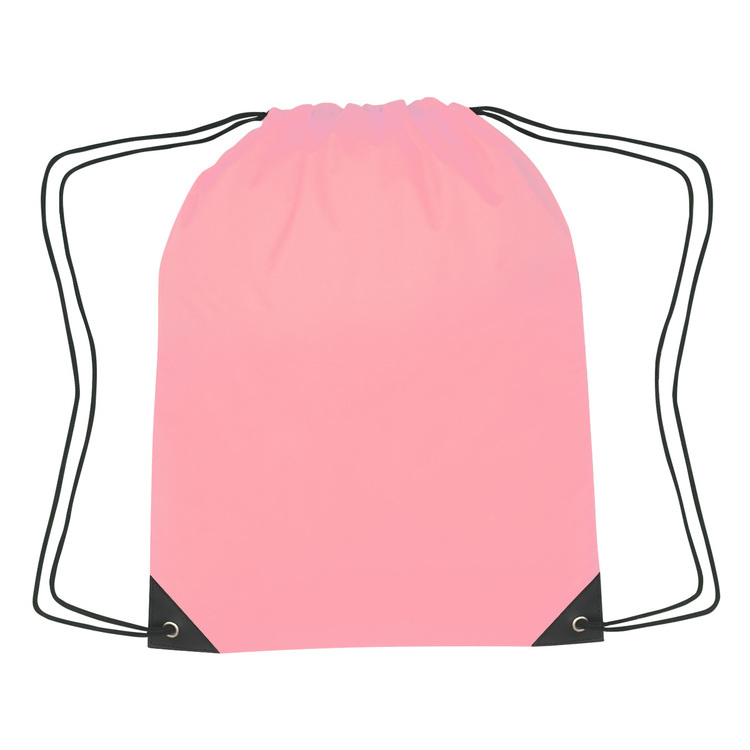 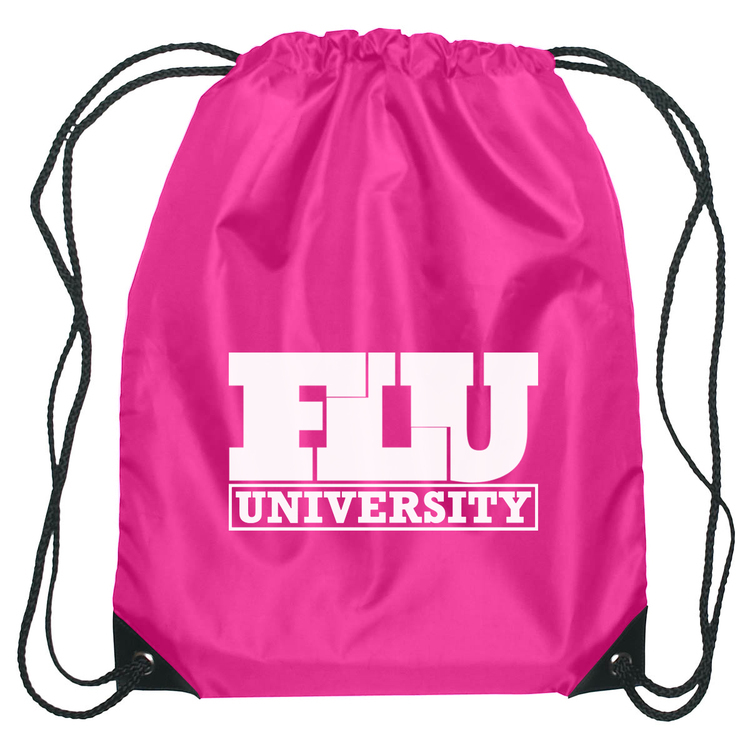 This bag is made of 600 denier with doby nylon so you can be sure of its durability. 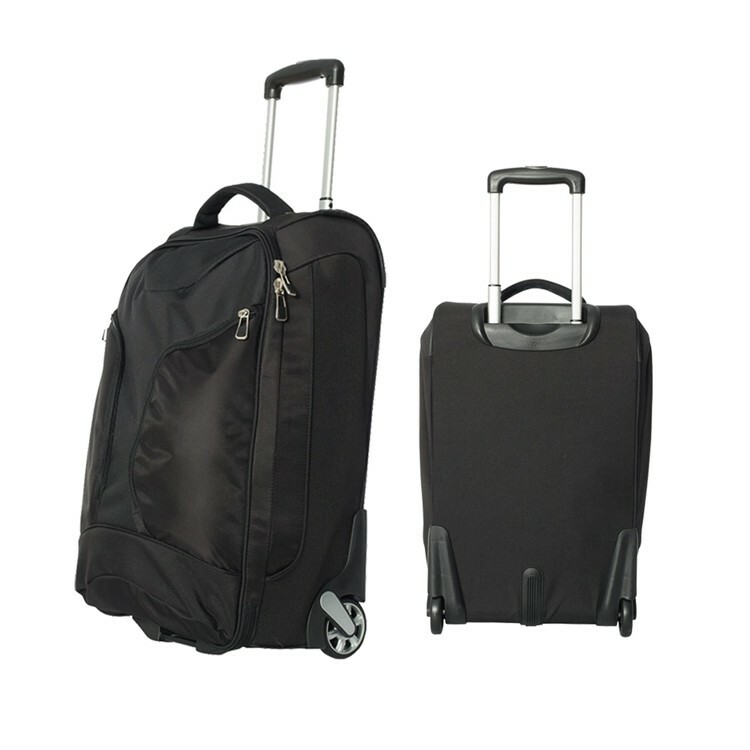 Impress employees with sturdy 600-denier polyester fabric that's built for the long haul. 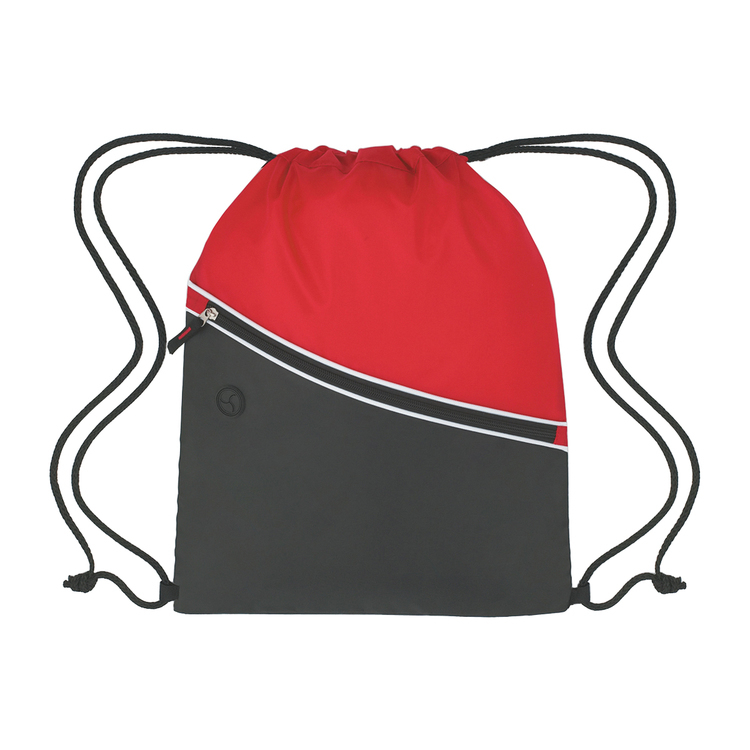 U-Shape opening with two way zipper at top. 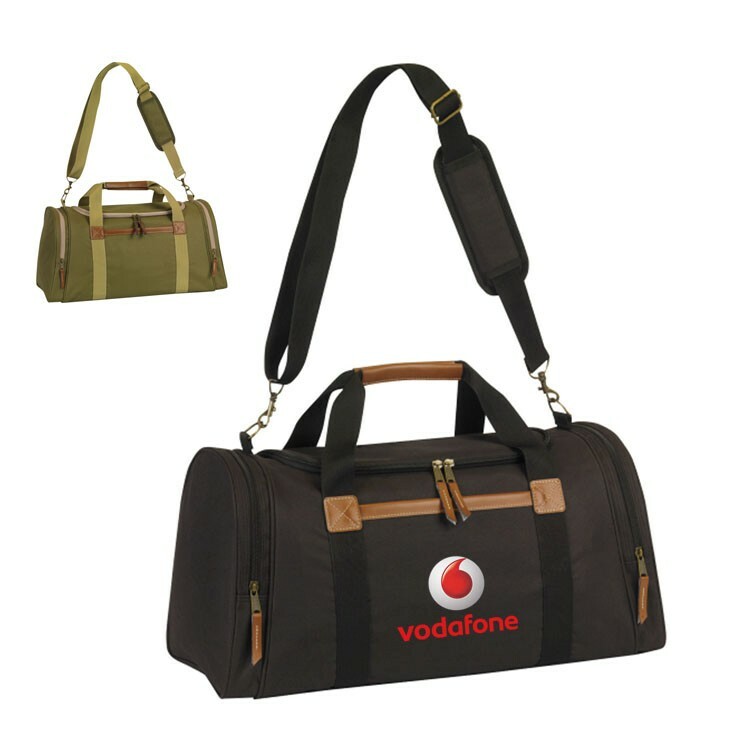 Offers padded grap handles and an adjustable / detachable shoulder strap. 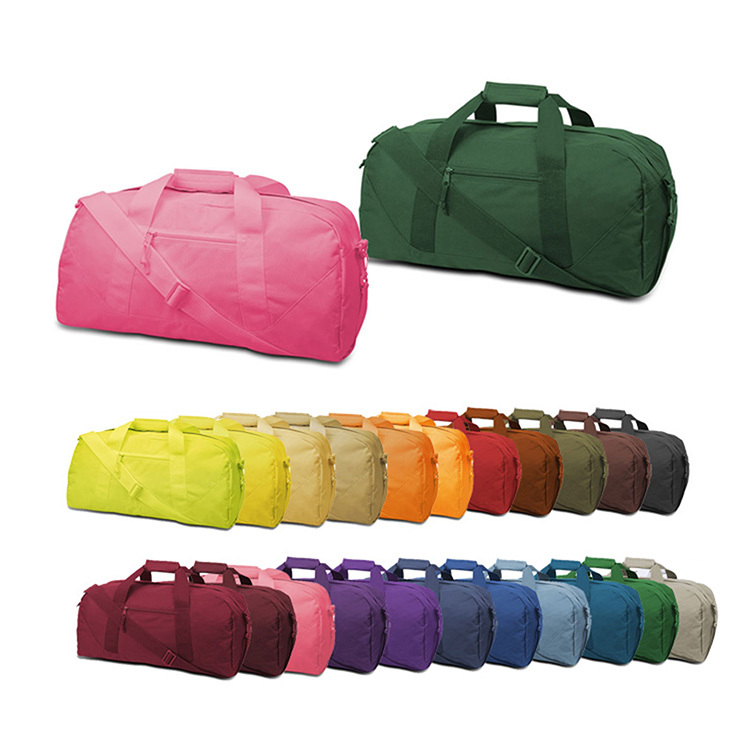 Large Square Duffel Bag 600 D polyester duffle bag with detachable shoulder strap. 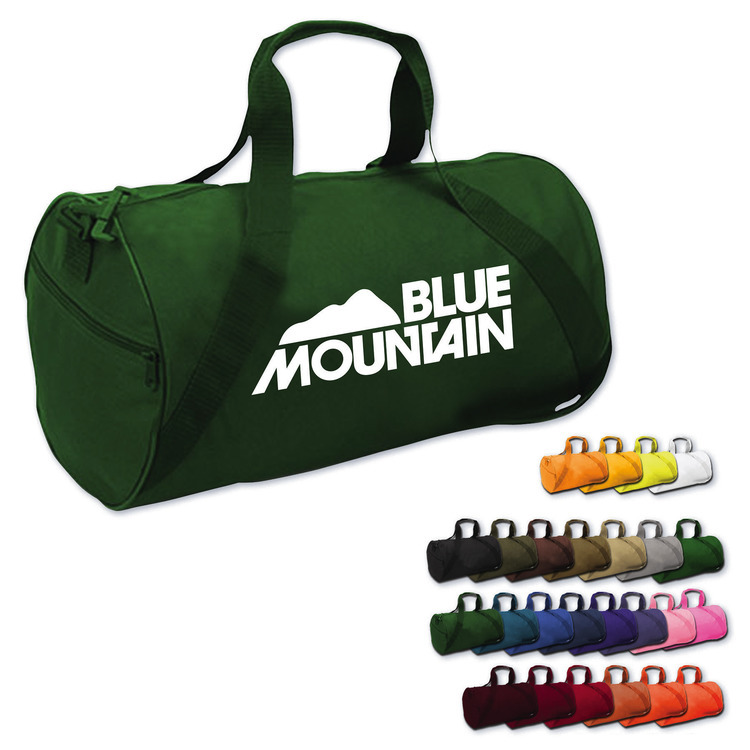 26 colors avaliable. 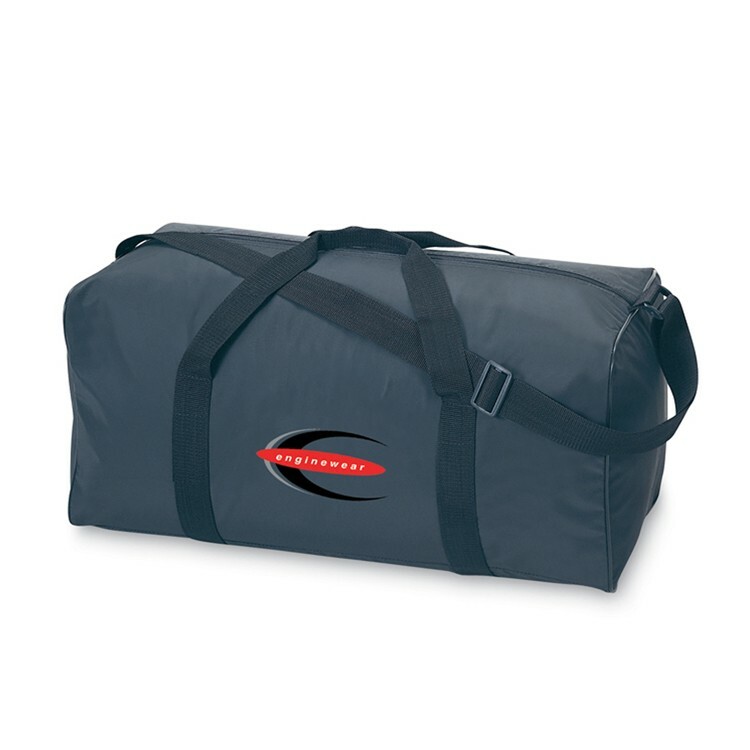 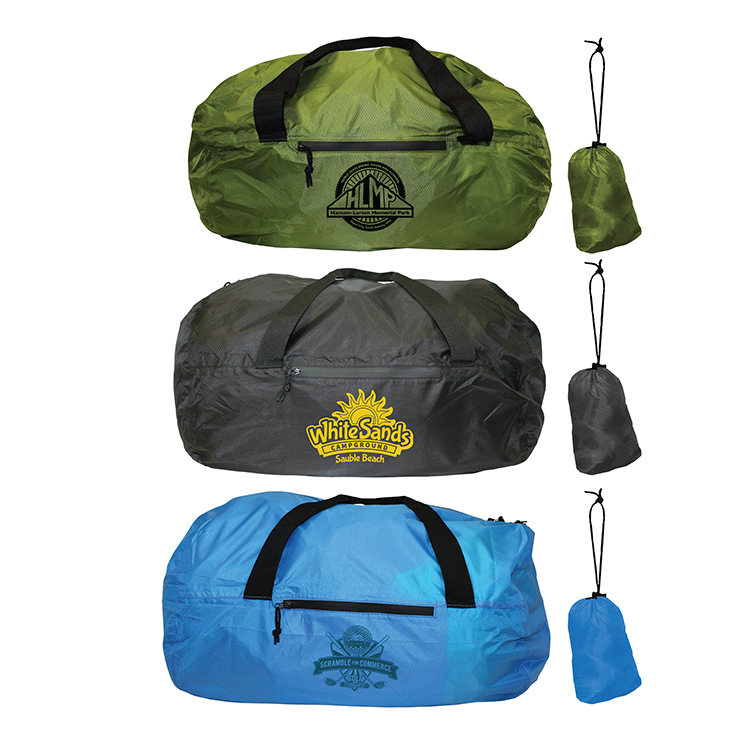 This durable 600-denier polycanvas duffel features a large compartment and full-front slash pocket. 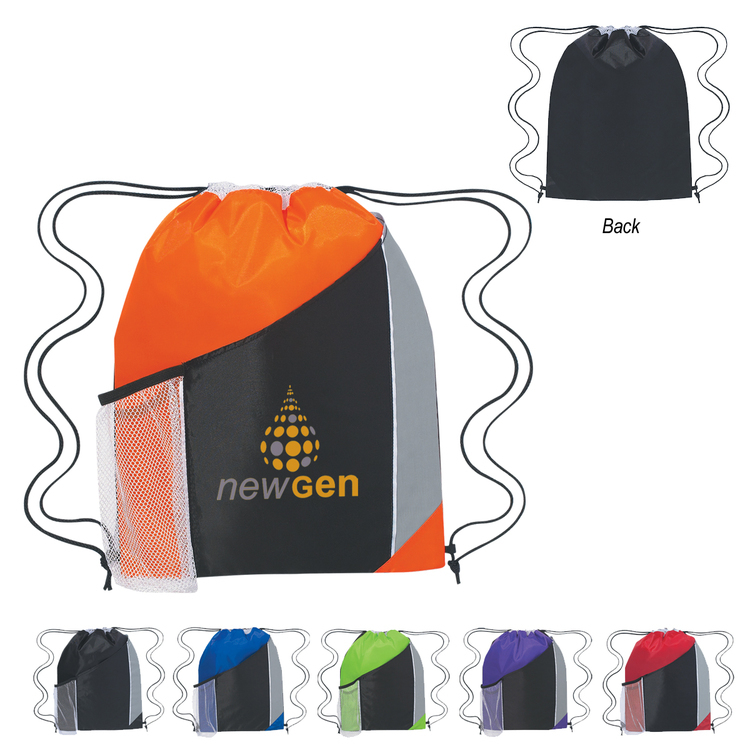 Two-tone design offers several bold color choices. 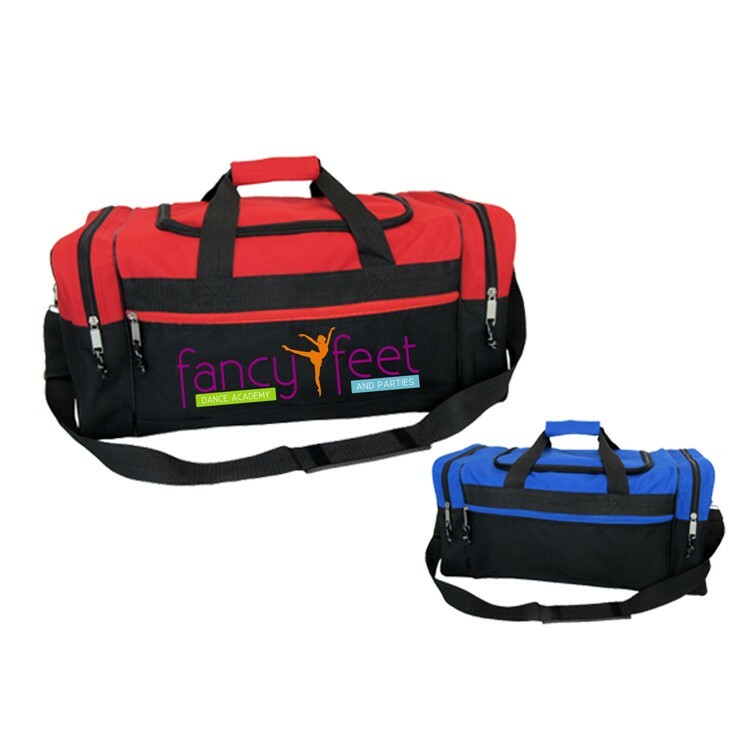 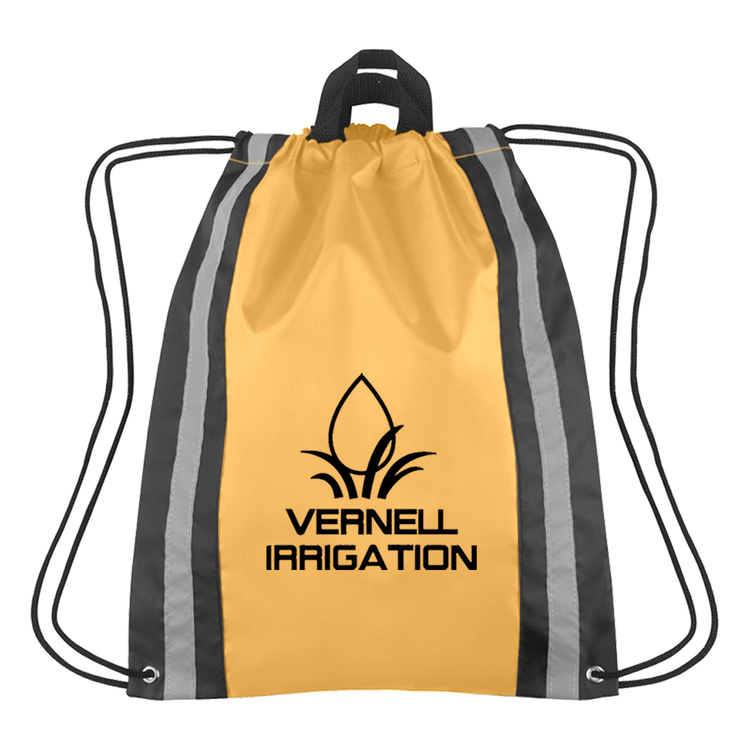 Handles and adjustable shoulder strap. 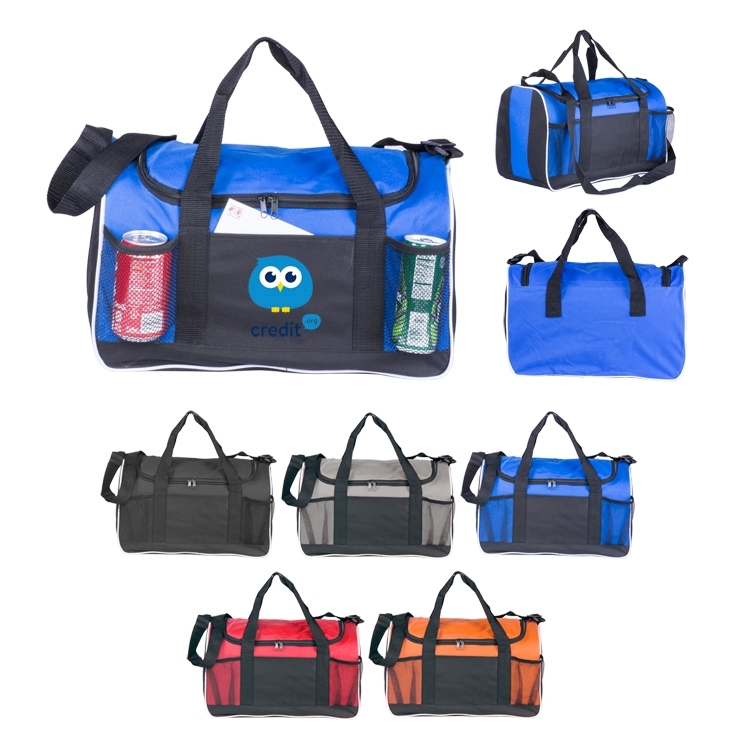 Perfect for travel-whether it's around the world or back to mom's house to do laundry.